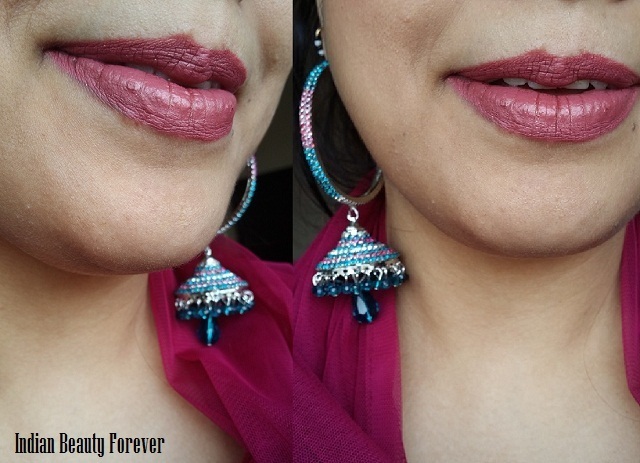 Lakme 9 to 5 lipsticks have been one of the raved products, I got these beauties only recently. Having reviewed Coffee Command from this range earlier, I would now like to share my views on Pink Bureau shade which is my favourite. 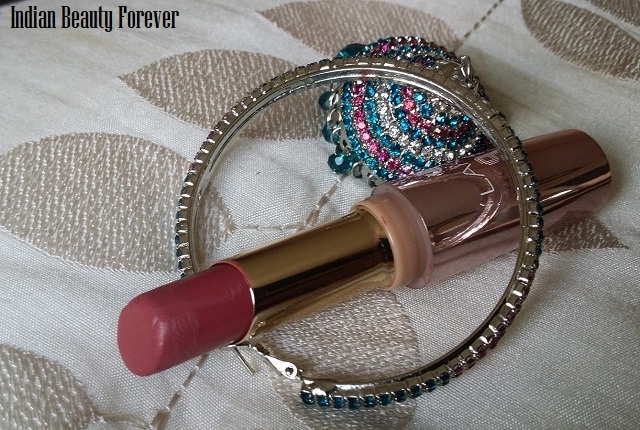 Price- 400 rupees per lipsticks and comes in over 15 colors to choose from. Packaging- I loved its unique and classy packaging. It comes is shiny Rose gold packaging with a tight click cap which is quite sturdy and travel friendly. 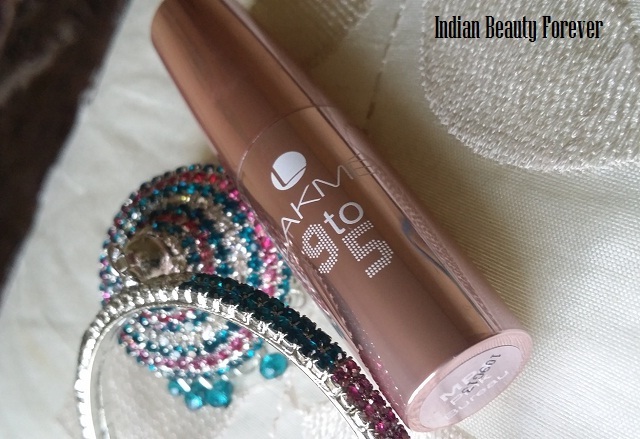 Lakme 9 to 5 is embossed with white colour on the body and colour name is written on one end of the lipstick. 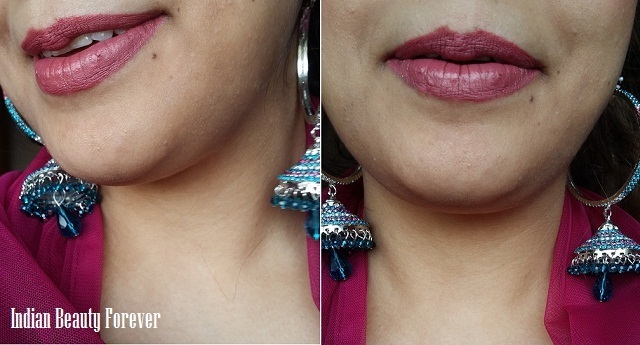 My Thoughts: Lakme 9 to 5 Lipstick Pink Bureau is perfect and my kind of warm pink shade with golden shimmers in it. 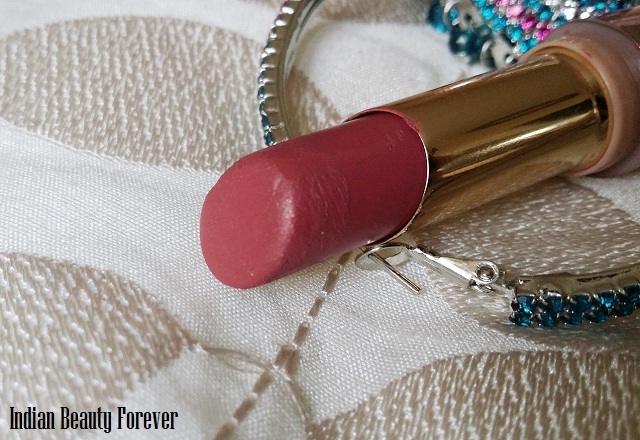 I love shimmer but in this lipstick they are hardly noticeable on lips. It is one of the gorgeous pink which would suit all skin tones due to warmth in it. It can brighten up any look, face or mood. It is one of the fastest selling shades as loved by most of the people. Pigmentation is great in which one swipe provides full coverage. I love the texture as well which is creamy and soft that turns to powdery matte. It goes very smoothly on lips and never feels dry. 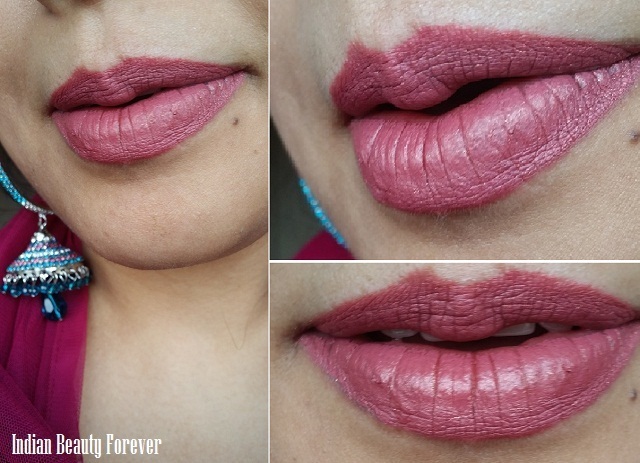 It does accentuate fine lines /dry patches on lips which bother me a lot. Apart from that, it is quite affordable. Staying power is great too as it stays more than 5 hours on my lips without meal. After the meal, it leaves a tint which is not uneven, like a pretty stain. I don’t like the fragrance, it isn’t too pleasant. Subtle shimmer that still keeps the color matte. No indication of colour from outside; can be tricky if you have a couple of these. Take: Lakme 9-to-5 lipstick Pink Bureau is a very pretty and eye catching pink shade which would suit all Indian skin tones. 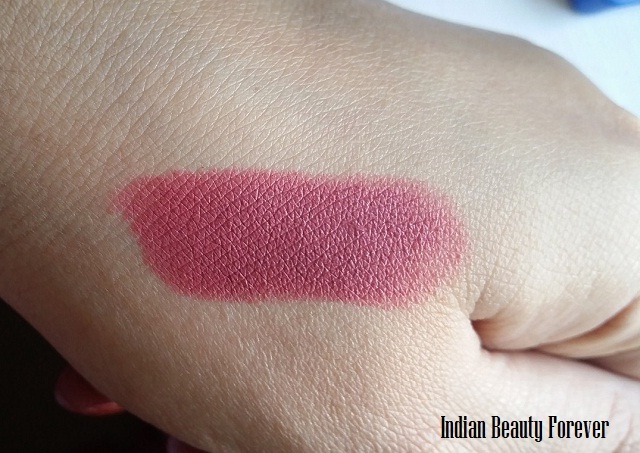 It is very good in terms of pigmentation, texture and staying power and quite affordable too. It gives nice matte finish but does not dry your lips, in fact feels very light and soft, so highly recommended! Love the color! Such a rich pinky shade I love it! You eyes are so smouldering too, so deep and pretty! The shade its pretty and it looks awesome and elegant on you . Beautiful shade !!! I am good , hope y the same doll! Hi dear Tej! ! ! I like this shade on your lips.... you rock Tej!!!!! Nice color tej love your eye make too. u carry every shade with so much of ease...looks great on u! though not my kind of shade! i love 9to5 range lipstick ..i have the color rosy sunday..
You seem to look good in any shades Tej and this is one of it. I have lost my domain and waiting for the next course of action. Will let you know. Wow such a pretty colour dear ! lovely swatches ! Nice shade and amazing staying power. 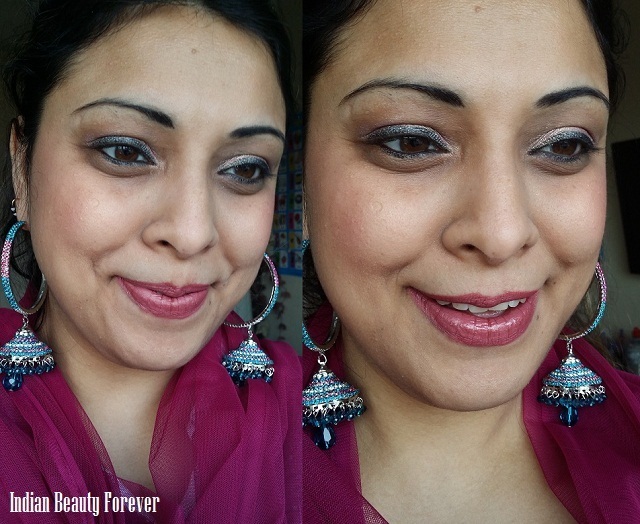 Lovely FOTD and ear ring. It's a lovely shade, Tejinder!! But what i loved about this post were your earrings!! GOSH!! So prettyyy!!! !